Many in the Gospel music community are well aware of the talents of prolific Christian composer Norris Garner. The DC-based songwriter and arranger has been wowing church choirs with songs like the popular tunes “He’s Blessing Me” and “God Is”, both recorded by the GMWA Mass Choir, and “Magnify Him”, recorded by the dynamic ensemble Patrick Lundy & The Ministers of Music. Garner, a highly sought-after workshop clinician, was recently named by Inspired People Music & GRAMMY Award Winner Pastor Charles Jenkins as one of “Ten Great Songwriters You Should Know”. The honor was bestowed upon Garner after submitting songs in a recent songwriting contest by the “Awesome” songwriter. Norris Garner’s illustrious catalog of music will be on display as the Alumna Reunion Choir of the Dr. Henry Wise High School performs on Friday, June 7, 2013 at 7 p.m. Under the directorate of Valencia R. Howard, the choir’s concert will be held at The Performance Arts Theater (12650 Brook Lane, Upper Marlboro, MD). Attendees will be able to enjoy uplifting songs by the renowned songwriter. For more information on the event, call 301.780.2100. Born in Roanoke Rapids, NC, Garner has had a love for music since the beginning. After moving to Washington, DC, he began writing songs and performing in church choirs while still quite young. 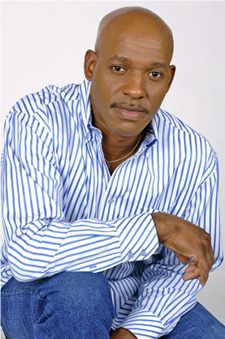 A self-taught musician, Norris has studied and composed Gospel music for numerous singing aggregations and artists. He’s performed with the Gospel Music Workshop of America Mass Choir, the Thomas Dorsey Mass Choir, The Mississippi Mass Choir, Yolanda Adams, John P. Kee, Vanessa Bell Armstrong, Isaiah Thomas, John Tillery & Living Sacrifice, and many others. As an artist, he’s released CDs including He’s Blessing Me and Churchin’ On The Hammond B3 Organ and as a producer, he’s had his hand in projects for artists like Timothy Poston, Sr., Eddie Robinson and Dr. Clarence Eggleton. He’s traveled extensively teaching Gospel music in countries like Poland, Denmark and Germany. To connect with Norris Garner, log on to Facebook at www.facebook.com/NorrisGarner and on Twitter at @felicityrecords.